This “Try before you buy” listing is purchased to give you a visual on how the font will look with your name & desired tagline (optional). If you would like to test out multiple logos, variations or submarks you will need to purchase more than 1 listing. Please choose from the dropdown the name on logo kit along with which variation (main, secondary, submark) you would like to try. Colour Change is not included. 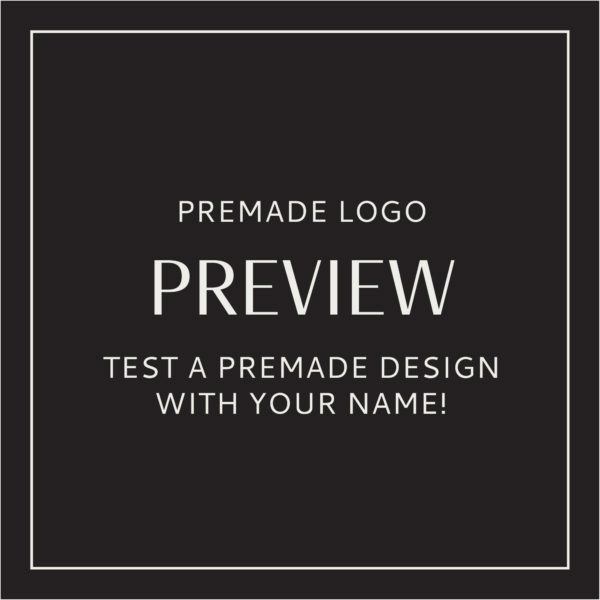 Pre made branding kits are the perfect solution to polish your brand professionally, at a super affordable price! The are perfect for photographers, interior designs, event & wedding planners, small business and boutiques, makeup artists, bloggers and more. Final logo preview supplied in the following formats: Low Resolution format with PROOF written across it.